Sometimes you just need some time to get under the skin of the thing, and that’s exactly what Brian and Rib’s wonderful course lets you do. Start with an idea, a fermentation, a thought and after two weekends you end up feeling well-equipped enough to sit down and write a whole play. An intelligent, incisive, supportive , forgiving and releasing writing environment. Blocks I didn’t even know were there were released before I knew it through a series of clever writing games designed to disarm the potential writer and get them writing. Demystifies the process and brings it down to very simple basics. Very constructively challenging – and it’s all about the writing. Teaches you kindly to get out of your own way! Facilitated by two calm, clever, patient and inspiring practitioners with a real gift for communication and a strong grasp of the over view so no one ‘ goes down the rabbit hole’ . The asset of the three generous and highly talented actors work-shopping the writing excerpts was the icing on the cake. It was an extraordinary experience to observe the actors taking my ( first draft ) writing as seriously as if they were in an RSC rehearsal !! It opened up views and insights on my writing that were an inspiration and which gave me courage. I found this course online, knowing nothing else about it so it was a bit of a gamble, especially as it was my first ever playwriting course. However, I need not have worried as it ended up being one of the best courses I have ever attended! Brian and Rib are both so supportive and knowledgeable and they create a safe space for everyone to learn together whether creating character, dialogue or writing a full length scene. The course is very practical so perfect for someone like me-just starting out. It is very intense and they pack a lot in: starting with exercises on creating characters through dialogue in the first weekend, to the second weekend, where you will witness professional actors working on a scene you’ve written, being directed by Brian or Rib, which then culminates in a performance and discussion. Not only do you have the chance to develop/critique your own writing but that of all the other participants and it was fascinating to learn and share together and to witness the varied ways each of us approached our writing. “I’ve been on a lot of writing courses, and I used to train adults myself so I’m pretty critical! I wholeheartedly recommend Write Theatre because Brian and Rib combine the qualities which are essential to good teaching. They’re modest guys with great skills.They don’t flaunt their own extensive experience and abilities but simply draw on them for the benefit of the participants. The result is an excellent learning experience. They are warm and friendly which sets the tone for an easy and productive tutor/learner relationship. And they’re a great double-act. They are extremely well prepared and well organized. They are respectful of all course participants regardless of background and experience. This helps the group to gell right from the start. They manage the tricky but crucial balance of being both encouraging and rigorous; you end up excited that you can improve — but they don’t pretend that it won’t be hard work! They bring in actors who are interested in what we’re doing. Seeing my work interpreted by them was really helpful. “I cannot recommend this course highly enough. I had expected to like it and learn something (which I did, in abundance). But what surprised me was how changed I felt at the end of it. The whole journey was a powerful one – from those first tentative moments talking about rhythm and dialogue to seeing professional actors breathe life into my words. ” 1) WRITE Theatre might not be cheap – but it’s excellent value for money. 2) I loved your teaching style. As you know, it’s not easy as a writer putting yourself ‘out there’ and sharing writing with others. You created a learning environment that offered a safe place to share, explore and take chances. You gave us guidance and support, insight and generosity of knowledge and spirit, encouraging us in a constructive, helpful way. 3) You provided a solid, professional framework for the course and a series of exercises that proved perfect for expedient learning by doing. I feel like I’ve achieved 6 months worth of information and experience in just 4 days. I’m sad it’s all over. 4) The opportunity to have our work read, workshopped and performed by such quality actors was an absolute thrill. It was one of the most exciting things I’ve done ever and they were so wonderful to work and experiment with. 5) It was great to learn with a group of people who shared my goals and my passion for writing and who were as vulnerable as I was and we were all brave together. I’ve learnt to problem-solve, overcome, analyse and appraise my own work which is invaluable. Just wanted to say how creative and unpredictably enjoyable the course was. One can read books for information on structure and other such technical matters of plays, but I could never have learned about how certain lines work in a dialogue whereas other don’t. Or how saying the opposite of what the character wants increase credibility. I learned how I not only must go behind but in fact love every character no matter how nasty he or she might be. A lot of the learning happened through a great combination of thorough writing exercises, but the course never became a dry nor a too difficult experience, I thank Rib and Brian especially for this. They are simply so generous with their experiences, yet so playful about the art of writing which made it two of the most inspiring weekends of work and play I could possibly have wished for. I gained a lot of insights both about my self and about my writing. Thank you!!! To see real actors play a scene of my writing was a mind blasting experience. Acting out a play never lies, but gives a very honest critique of your own writing, which I found hugely inspiring. The climate was very warm and very intelligent, to me a completely new environment. 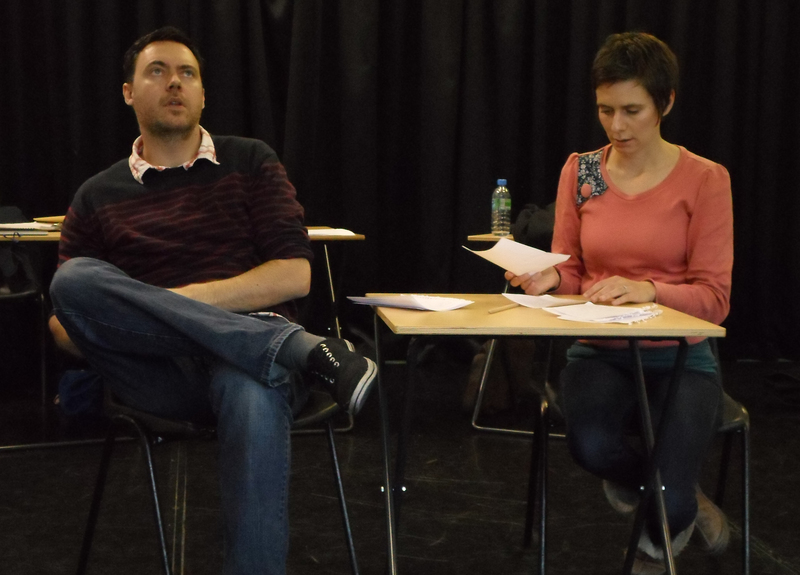 “Rib and Brian, two experienced practising playwrights, gave us the tools that they themselves use. From writing dialogue, creating visual impact, and turning scenes to create dramatic tension, these are tools that will stay with me forever. Having world-class actors to work with brought everything we had learned in class brilliantly to life. If you have any interest in writing for theatre then this is the real deal”. 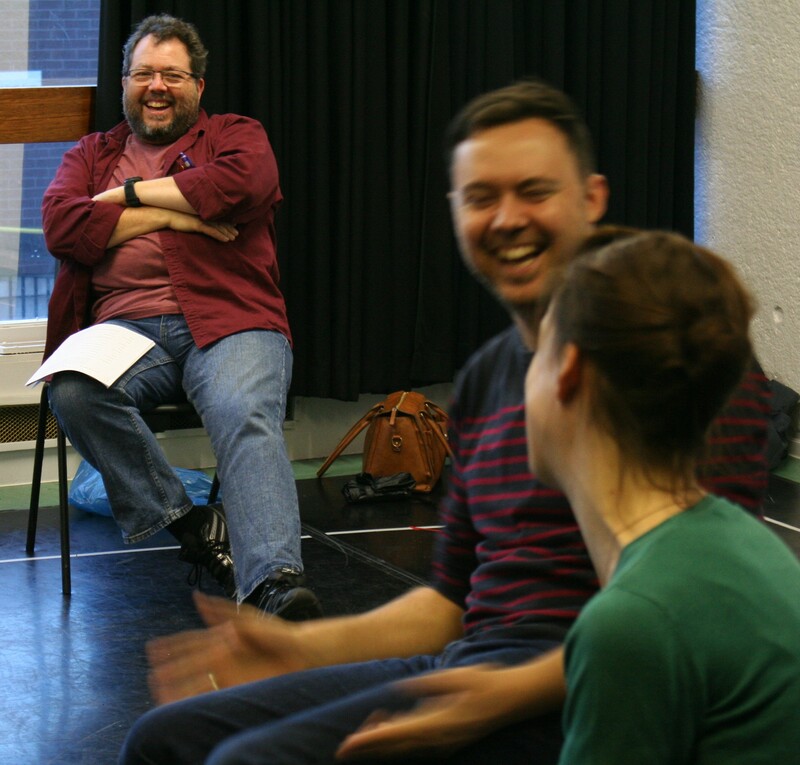 “It took a while to sink in just how visionary a concept your first ‘Write Theatre’ course (Nov 2013) actually was. Selecting and ordering a series of tried and tested writing exercises known to support yourselves into creativity, framing these as a 4 day intensive page-to-stage process with total and relative newcomers in order that we could experience for ourselves how the exploration of a scene between writer, director and actors really works. What a rare treat”. “WRITE Theatre provides a warm, supportive, and inspirational framework in which to explore a fresh and invigorating approach to creating vibrant drama. The focus on discovering character as a key driver to the organic development of a play has been invaluable to my own work, and the opportunity to test ideas in collaboration with actors in a workshop ‘lab’ has enriched me with enormous insights, not only into the process of developing drama, but also the limitless vitality and potential of theatre. The course is essential for anyone seeking to learn the craft, the art, and the delight of exploring the path from initial creative impulse to a living stage performance”. 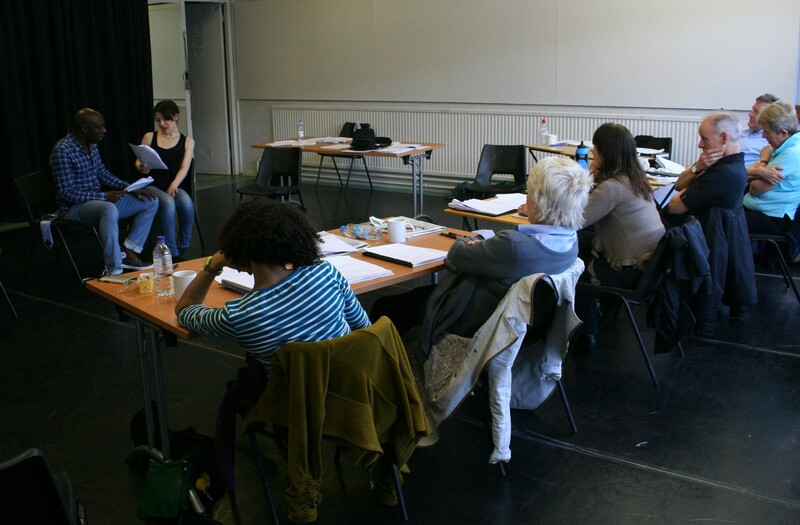 “‘I could not have hoped for a more stimulating and incredibly useful theatre writing course. It was challenging as Brian and Rib are experts in getting the best out of you but it’s accessible for writers of all levels of experience and so much fun! The mixture of practical work and classroom discussion was impeccably judged, with the emphasis on us actually writing our own pieces that led to all of us making huge strides over the the four days. Working with the professional actors was an invaluable experience and their input to help us shape our work proved just how essential a component of writing this is i.e. seeing your writing performed. The fact that Write Theatre gives us this access to amazing actors makes it stand head and shoulders above all other theatre writing course I’ve looked into. Brian and Rib are inspirational and I cannot wait until the next course in Summer 2014′”. 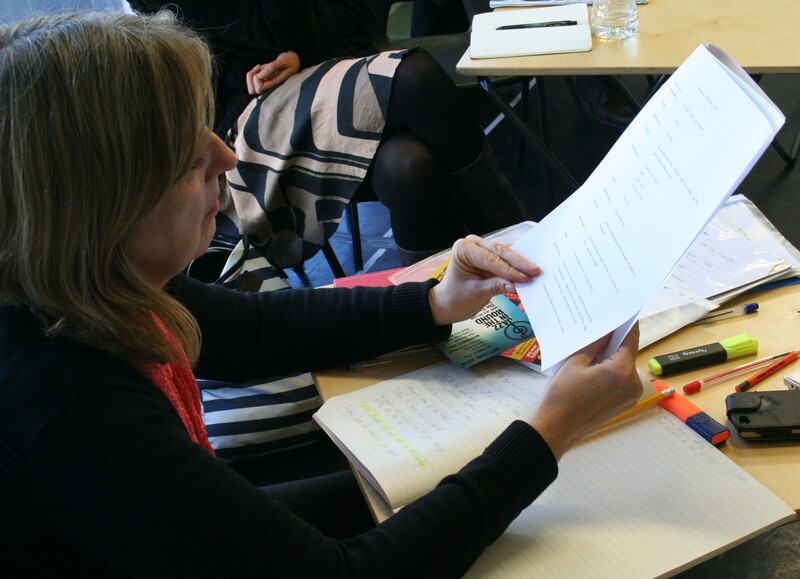 “This is the first time I have attended a course on play writing, although I have experience of working in drama in education as a teacher in a range of schools. The weekend has given me so much in terms of building my confidence as a writer. I loved the organic way it developed and the way that both tutors provided individual support and guidance, but always showed incredible respect for the voice of the writer. Even though I was with a group who were for the most part far more experienced than myself (as a beginning writer) and many had successfully completed an MA course with both tutors, I was never made to feel inadequate. To witness their work was such a great inspiration and teaching tool for my own writing. The tutors were sensitive to our individual needs but also very challenging in terms of their high expectations and were able to model through the way they critiqued participants’ writing, their own very high and professional quality as writers themselves. The course was collaborative in nature where we were able to learn from one another and it was great to experience this within the context of an actual theatre, which provided status to our work. This course was unique in many ways and the added element of this was the inclusion of very gifted and intelligent actors (from the RSC) who did far more than simply perform our scripted pieces. They provided insightful feedback, challenging questioning and were keen to experiment with different angles offered by the group, the individual writer and themselves. I found this incredibly exciting and rich. Thank you very much for a fantastic (but challenging) weekend”. “An inspirational course for anyone with ambitions to write for the theatre. Rib and Brian draw on all their vast experience as writers and directors to de-mystify the art of playwriting. 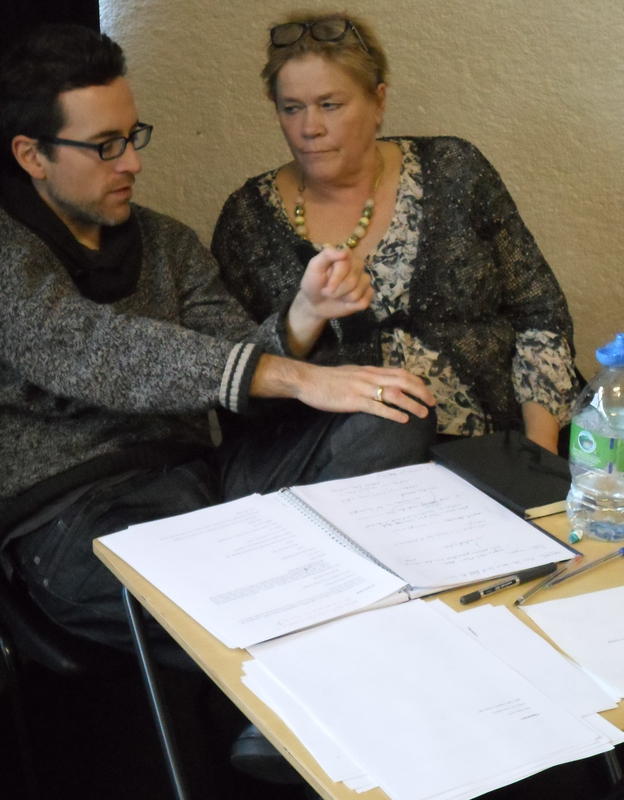 Their intensive course is instructive without being prescriptive, and encourages aspiring playwrights to explore their own ideas through an understanding of the process of writing for the stage. 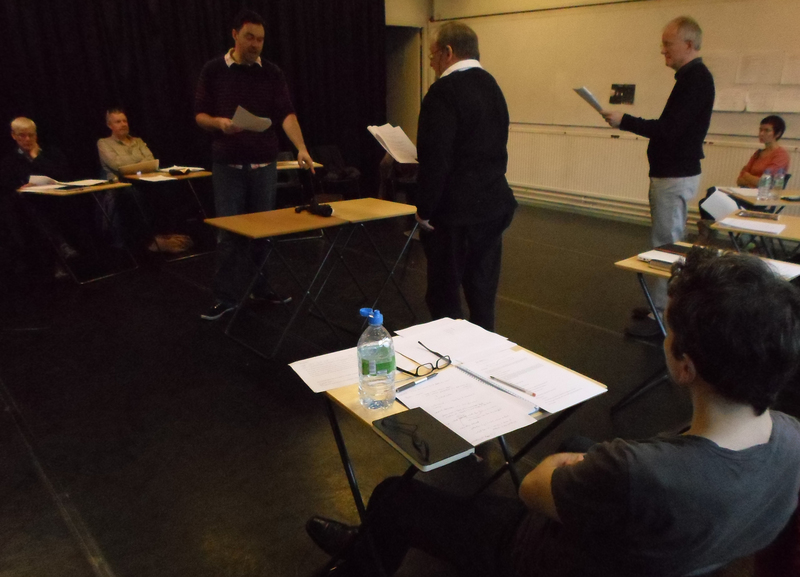 This is very much a practical course, with a series of writing exercises culminating in two days of workshops, with scripts being performed by professional actors. This is an invaluable opportunity to be guided through the creative process, and hear your work come to life in the rehearsal room”.